Small, Gutsy & Gorgeous: this is how poet Erín Moure once described Pedlar Press, and it has stuck! Join us on Saturday, April 18 at 7 p.m. to find out why: authors Sonja Greckol, Emily McGiffin and Robert Mellin will read from their new works of short fiction, poetry & nonfiction. Montreal poet Mary di Michele will read from the new work of Kate Cayley, who is unfortunately unable to join us. Kate Cayley’s poetry and short stories have appeared in literary magazines across the country. Her play, After Akhmatova, was produced by Tarragon Theatre, where she is a playwright-in-residence, and a young adult novel, The Hangman in the Mirror, was published by Annick Press in 2011. Brick Books published her first poetry collection, When This World Comes to an End. How You Were Born is Cayley's first collection of short fiction. 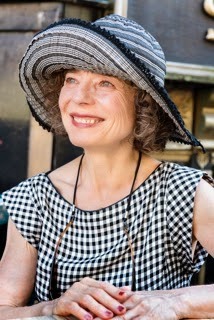 Sonja Greckol, author of Skein of Days, edits poetry for Women and Environments International and was an founding member of InfluencySalon.ca. She lives in Toronto. Robert Mellin has been a registered architect since 1978. In 2002 he was elected to the R.C.A. (Royal Canadian Academy), and he was elected to Fellowship in the RAIC in 2009. He has received eight Southcott Awards for his heritage conservation projects in Newfoundland, and in 2005 he received a Manning Award from the Historic Sites Association of Newfoundland and Labrador. In 2006 he received the Paul E. Buchanan Award for excellence in fieldwork and interpretation from the Vernacular Architecture Forum. He is past-Chair of the Heritage Foundation of Newfoundland and Labrador. His book Tilting: House Launching, Slide Hauling, Potato Trenching and Other Tales from a Newfoundland Fishing Village was published by Princeton Architectural Press in 2003 and it won the Winterset Literary Award. His chapter on the Ludlow premises in Joe Batt's Arm, Fogo Island, Newfoundland appears in the anthology Despite This Loss: Essays on Culture, Memory, and Identity in Newfoundland and Labrador (St. John's: ISER, 2010). In 2011, Professor Mellin’s book Newfoundland Modern: Architecture in the Smallwood Years, 1949-1972, was published as part of the McGill Queen’s/Beaverbrook Canadian Foundation Studies in Art History series. Poet, novelist, and member of the collaborative writing group, Yoko’s Dogs, Mary di Michele is the author of eleven books including a selected poems, Stranger in You, Oxford University Press 1995, and the novel, Tenor of Love, Viking Canada, Simon & Schuster USA 2005. She lives in Montreal where she teaches at Concordia University in the creative writing program. Her most recent publication is the chapbook, The Montreal Book of the Dead, Vallum. She has won numerous awards including first prize for poetry in the CBC literary competition, the Air Canada Writing Award, and the Malahat Review long poem competition, as well as books shortlisted for the Trillium Award and the A.M. Klein.